Find yourself just minutes away from classic Orlando attractions with the luxury suites at Parc Soleil by Hilton Grand Vacations. Browse discounted timeshare resales and rentals at the resort with SellMyTimeshareNow.com. Voted into the TripAdvisor Hall of Fame for outstanding guest reviews for five straight years, the Parc Soleil by Hilton Grand Vacations is one of the best places to stay in Orlando. With Walt Disney World, Universal Studios, and SeaWorld Orlando all under five miles from the resort, you'll enjoy upscale luxury accommodations within close proximity to the area's best attractions. The resort's 52 sprawling acres provide popular amenities like a poolside cafe, swimming pools, fitness center, and a shuttle service to area attractions. The Parc Soleil resort is equipped with efficient guest rooms as well as spacious one and two bedroom suites overlooking the city of Orlando. 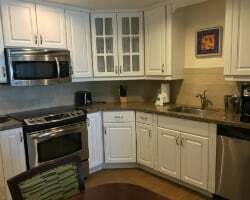 With modern furnishings paired with convenient amenities like laundry machines, full kitchens, and master baths, you're guaranteed to feel right at home in one of the resort's timeshare units. Perfect for families or small groups of up to six, everyone in your group will have the space and comfort they need at the Parc Soleil. Are you ready to secure your very own accommodations at the Parc Soleil by Hilton Grand Vacations Club? You can take advantage of affordable timeshare resales and rentals at the resort today. Fill out the form on this page or call a representative at 1-877-815-4227. 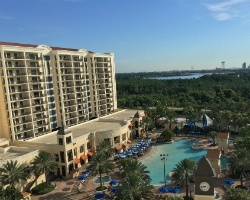 Buying a timeshare at the Parc Soleil Orlando on the resale market will unlock a whole new world of vacationing while saving you money in the process. Timeshare resales are offered by current timeshare owners, not by the resort itself. Because of this, the same ownership accommodations are often priced much more realistically than they are through retail. You could find resale postings on the secondary market for discounts of up to 70%. Not only will you experience the benefits of timeshare ownership, you'll get to experience them for thousands less than what others pay. Resales at the Parc Soleil come in a variety of different ownership intervals, including deeded weeks, floating weeks, and Hilton Grand Vacations Club points. This will allow you to find a price point and an ownership type that works for you, without having to settle. Timeshares at the resort also fall within Hilton's Gold, Platinum, and Holiday seasons, and are eligible for HHonors points. 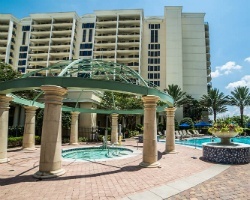 The Parc Soleil is affiliated with Hilton Grand Vacations Club, widely regarded as one of the most resale-friendly timeshare brands in the industry. When you buy a timeshare resale at the Parc Soleil, you won't face too many restrictions upon entering the club, allowing you to take advantage of more benefits. While you won't be able to enter at the Elite level, you'll still be able to use points to make reservations at the Parc Soleil, convert HHonors points, and exchange your timeshare internally for stays at other Hilton resorts. As a Hilton affiliate, the Parc Soleil resort is also affiliated with RCI, the world's largest timeshare exchange company. Pairing your resale accommodations at the Hilton Parc Soleil with an RCI membership can help you get the most out of your timeshare ownership by opening up opportunities to stay at other resorts around the world. An RCI Gold Crown Resort, the Parc Soleil commands a reputation for providing excellent amenities and accommodations. The resort is also eligible for RCI Points. The Parc Soleil by Hilton Grand Vacations Club features a wide array of on-site amenities and services designed to heighten your overall experience on vacation. Start off at one of the resort's two swimming pools, equipped with whirlpool spas and waterslides. Visit the poolside Cafe Soleil, which serves up sandwiches, burgers, and cocktails seven days per week. Continue the fun in the resort's fitness room, video arcade, or tennis courts for more recreational activities. Finally, the shuttle service to local attractions makes transportation throughout your trip seamless and worry-free. Nearby, families will love all the excitement that Walt Disney World, Universal Studios, and SeaWorld have to offer. Golfers can enjoy hitting the links at one of the area's 94 courses, while attractions further away like the John F. Kennedy Space Center provide great day trip potential. 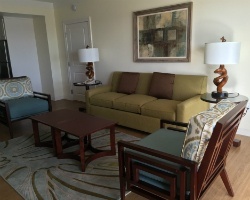 Already Own at Parc Soleil by Hilton Grand Vacations?